This seems complicated, but even if you aren't too experienced with Linux or VirtualBox-- this should only take 30-40 minutes tops, depending on how fast your computer is. 2.) ISO up the contents of folder, with same directory hierarchy. 3.) Create debian64-bit virtual machine. 4.) Enable EFI in the settings for said virtual machine. 5.) Boot up the machine, and mount the install disk you created. 6.) Once booted type FS0:\EFI\BOOT\BOOTX640 into the "2.0 Shell>" prompt, and press enter. you're going to have to sit at the "error: prefix is not set" thing for a minute before GRUB actually comes up. 7.) 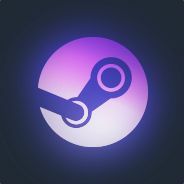 Follow the instructions here: http://steamcommunity.com/groups/steamuniverse/discussions/1/648814395741989999/ under "How do I install SteamOS" after "Pick "Automated Install" from the next menu." After you boot in, and login with "desktop" "desktop" or "steam" "steam", it may take some time for you to get to a desktop, be patient. Also I got in by logging in to "Default Xsession", and then loading up Big Picture mode. I hate to ruin it by posting screenshots, so I won't. There are some out there, but you should see it for yourself, it's pretty incredible. Oh, addendum: you're going to have to sit at the "error: prefix is not set" thing for a minute before GRUB actually comes up. Do you still need an nvidia card for this? I'm using amd. It seems like this thing boots, but I can't type into any of the virtual terminals, typically indicating some kernel driver issues. Maybe it's not that, I'll just wait a little bit longer. THIS IS THE NEXT GENERATION!1! How does this work? I thought ISOs were CDFS and EFI only supported FAT? does this work with VMWare Player aswell? Depends on your motherboard. Most UEFI setups support most CD file systems, FAT and FAT32. Some support NTFS read only, shockingly. Installation works fine, but I get only a blackscreen on boot. I'm also unable to get any bootup text, no matter if I force it in the grub settings. Yeah, that's where I'm at as well. I'm looking to see what drivers are failing in recovery dmesg. It seems like the fallback drivers that recovery uses work to control terminals. But need to roll Xorg back to some sort of generic. Odd they claim this only supports nvidia when I'm pretty sure I saw the installer putting on fglrx, and I'm pretty sure fglrx is radeon. "Added various third-party drivers and updated graphics stack (Intel and AMD graphics support still being worked on)"
Ok, not having sucess with vmware, but that just may be my iso file. My intel laptop wont recognize the usb flash drive with a valid os. You may need to verify that vmware support UEFI, and you have enabled support for it (it probably isn't default). ok, my iso seems to work so far on virtualbox following the tutorial, so it cant be my iso file that's causing problems with the laptop.